True, writers have already crafted their storylines, and oddsmakers have already made it known who they would prefer to win the tournament. But The Masters has a way of writing it’s own story, fielding a champion in Charl Schwartzel last year and making a mockery of Rory McIlroy at the same time. Will the young champion parlay his lessons from 2011? Is this the year Tiger Woods finally returns to form? Or what about a playoff? With one of the most-anticipated tournaments about to kick off on Thursday, it’s hard to imagine a more dramatic finish this year than a playoff. It hasn’t happened since 2009 when Angel Cabrera overcame Kenny Perry and Chad Campbell on the third playoff hole. Before that, it hadn’t happened since 2005. It could happen. It almost did last year when Woods put the crowd into a frenzy with his rally on the final day. McIlroy’s collapse made it seem even more possible before Schwartzel took over. There are about 6 guys in the field that have a realistic shot at winning the tournament, and about another 10 you could make an argument for if you really wanted to. Woods finally won his first tournament in two years a couple weeks ago, and Phil Mickelson looked sensational at Pebble Beach. Steve Stricker’s record on greens in regualation plays well to the course, and Hunter Mahan is sizzling at the moment. 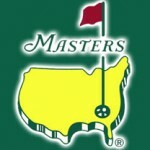 But as I noted, The Masters has a way of writing it’s own story line, and crumbling players by the pound. For that reason, Bovada expects only one player to emerge outright with a -350 payday if there is no playoff. If there is, it’s a +250 payday.